Binning Memorial Wood is a family-owned business run by Ben and Sarah Gray. Ben’s father, John, bought the wood from the Earl of Haddington in 2003, and since then they have focused on turning part of it into an environmentally friendly business. It is the most recently opened natural burial site in Scotland and the first in East Lothian. We consider ourselves caretakers of the land. It’s an asset to be nurtured and retained for future generations. With its role as a memorial space it cannot be changed or built upon – it will forever remain a memorial wood. Green burial is the way the world is going. There is a huge emphasis on making environmentally responsible choices in life so the knock-on effect is that we are taking that another step further – to the grave. Binning Memorial Wood is part of the historic 300 acre Binning Wood in East Lothian. 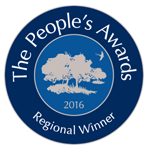 It is the most recently opened natural burial site in the country and the first in the east of Scotland. 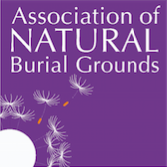 We are members of the Association of Natural Burial Grounds and are bound by its Code of Conduct which aims to ensure the highest professional and environmental standards from all members. Walking through a wood where a loved one is buried is a much more positive, more liberating experience.